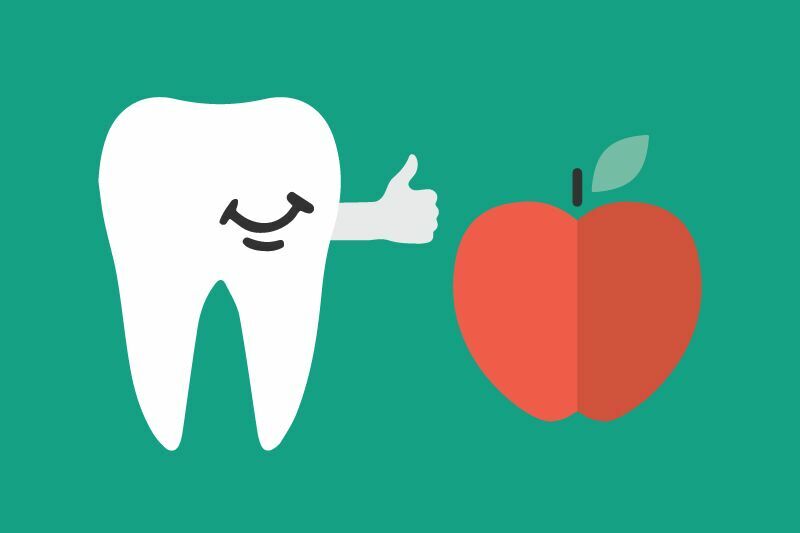 The food you eat can affect the health of your teeth and gums. Consuming too many sugar-filled sodas, sweetened fruit drinks or non-nutritious snacks can increase the risk of tooth decay. It is the most common childhood disease but it is entirely preventable. Tooth decay occurs when plaque come into contact with sugar in the mouth, causing acid to attack the teeth. Common sources of sugar in the diet include soft drinks, candy, cookies, and pastries. For healthy teeth and gums, think before you eat and drink. Eat a balanced diet and limit between-meal snacks. Cheese: It increases the PH in the mouth and lowers the risk of tooth decay. Cheese required the lot of chewing which increases saliva in the mouth. Cheese also contains calcium and protein, which strengthen the tooth enamel. Yogurt: it is rich in calcium and protein which is good for tooth health. The probiotics and bacteria present in it help in preventing cavities. Leafy greens: They are full of vitamins and minerals while being low in calories. They are high in calcium and folic acid. Folic acid is helpful in treating gum diseases in pregnant women. Apples: apple is sweet in taste but it is also high in fibre and water. Eating apple rinses away bacteria and food particles as it produces saliva in the mouth. Carrots: They are the good source of fibre and vitamin A.
Almonds: They are very good for teeth as they are rich in calcium and protein while being low in sugar. Water: Drink plenty of water.